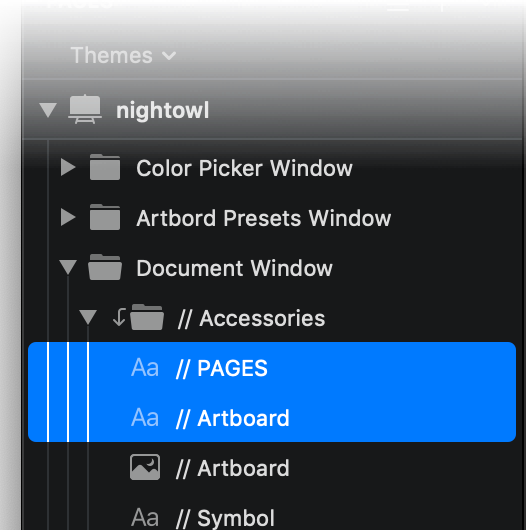 Note : For Sketch 52 and above, Midnight requires macOS Mojave. Change the look of Sketch to match your work or your work environment. Apply colored tags to Layers, Artboards and Pages. Find your ultimate focus by choosing the perfect canvas color to highlight your work. Force Sketch to stay dark (or light) ignoring your macOS setting. A handy button for one of the most frequent tasks. 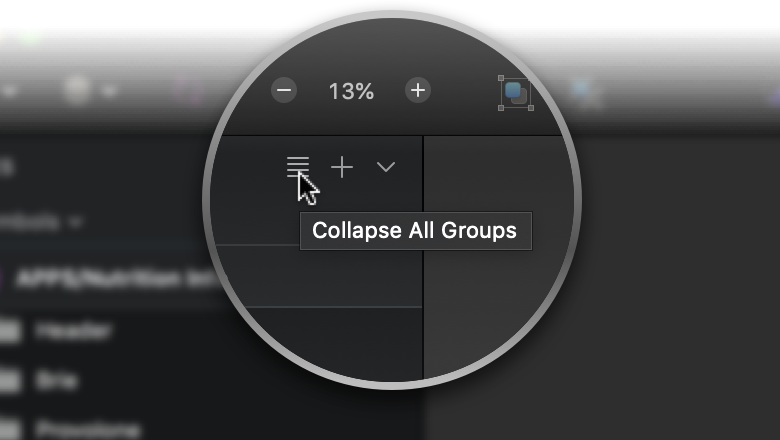 High-contrast handles make editing vectors easier. Easily identify how Groups and Layers are nested. Use monochrome or colored icons with the option to hide borders around them. Can I get a refund if I don't like Midnight? We are unable to issue refunds. We offer a trial version so you can evaluate the plugin before purchasing a license. 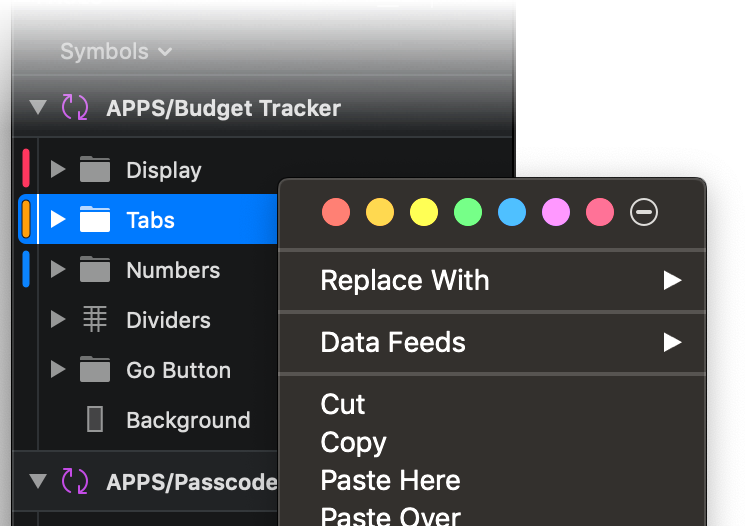 Will using the theme affect Sketch performance? This may depend on the configuration of your Mac. We have tested Midnight with large Sketch documents and have seen no difference in performance. If you think Midnight is causing performance lag for you please send us a message on Twitter @_midnightsketch. 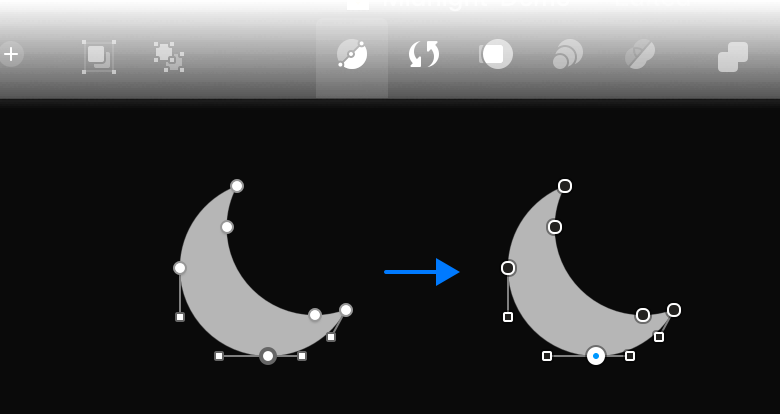 Can I use Midnight with Sketch 52 on High Sierra? Unfortunately, due to API limitations we cannot support the combination of Sketch 52 running on High Sierra. 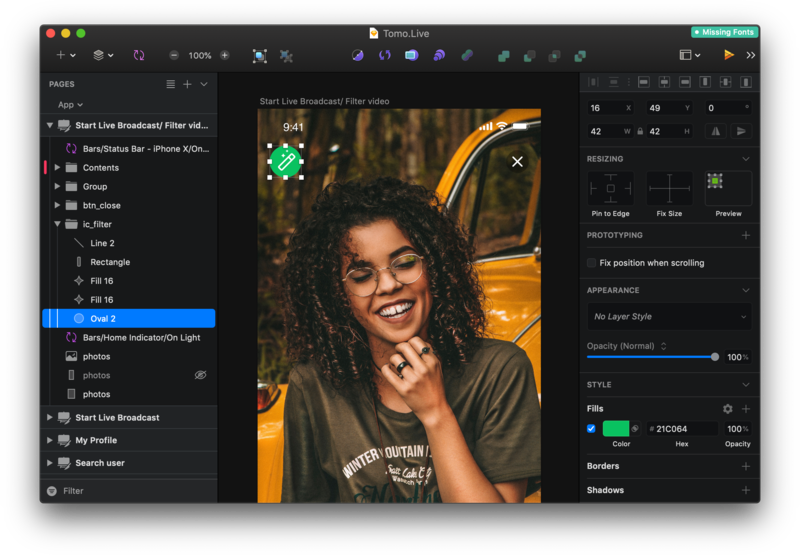 Most of the API used to darken Sketch 52+ is only available on Mojave. Which versions of Sketch and macOS does Midnight support? 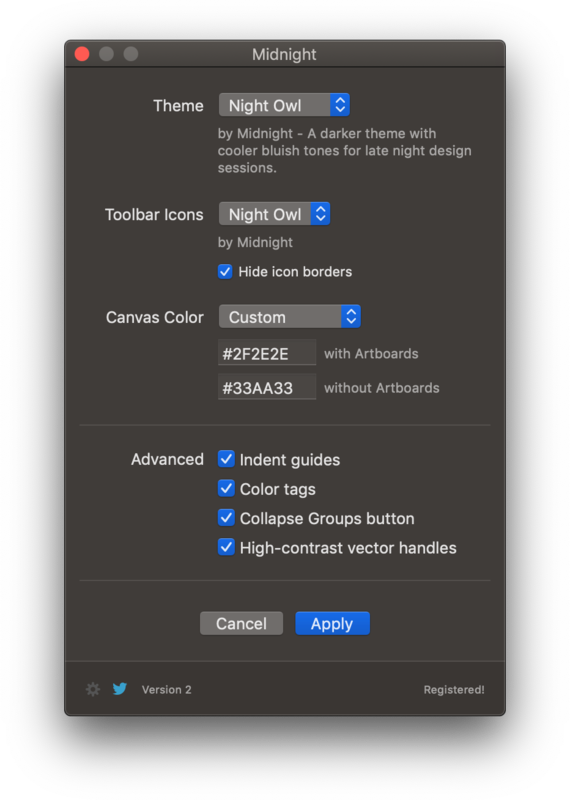 Midnight is compatible with Sketch 48 or greater on macOS Sierra or above. macOS Mojave is required for Sketch 52 onwards. On how many Macs can I use my license? A license is a single-user license and can be used on 3 of your own Macs. For example, if you have one Mac at work and another at home. License keys may not be shared with others. How can I disable or uninstall Midnight? Go to the Plugins section in Sketch - Preferences and control-click on Midnight. You will get options to disable or uninstall the plugin. Then restart Sketch to apply changes.